"I don't want to see my country fall into the hands of German jews either. That's our national problem, I'm afraid, just now": Haines justifies his name in Telemachus by voicing theories of an international Jewish conspiracy. Near the end of Nestor, Deasy subjects Stephen to more of the same: "England is in the hands of the jews. In all the highest places: her finance, her press. And they are the signs of a nation's decay. Wherever they gather they eat up the nation's vital strength." In Proteus anti-Semitism makes an oblique appearance in Kevin Egan's mention of "M. Drumont, famous journalist." These three passages in the Telemachiad set the stage for Joyce's introduction of a Jewish protagonist in the fourth chapter, and for the prejudice exhibited by various Dubliners later in the book. Although hatred of Jews reaches far back into the medieval origins of Christian Europe, it took new, virulently ideological forms in the late 19th century, starting in Germany and spreading to Russia, France, and the Austro-Hungarian empire. Ulysses records its penetration of the British empire. 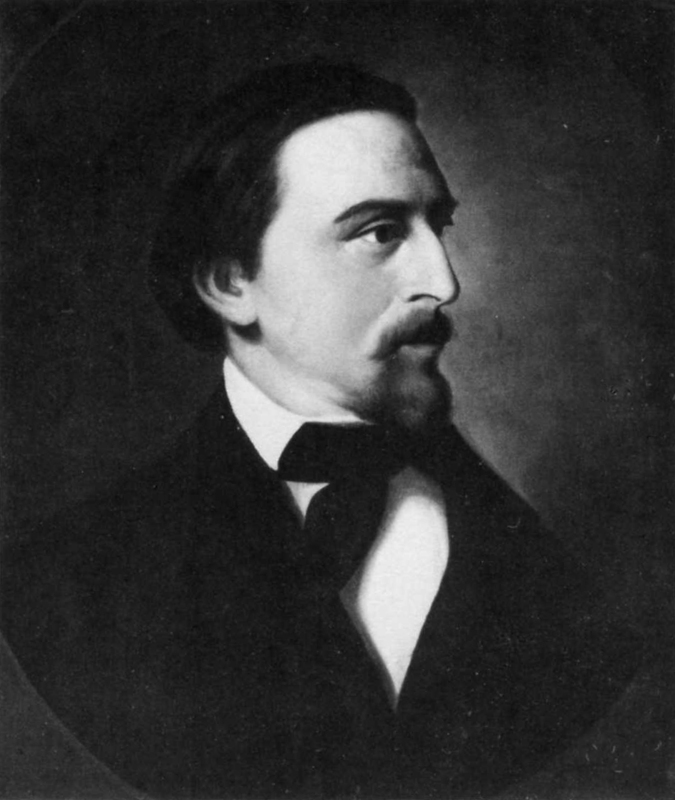 The term "anti-Semite" was coined in 1879 by Wilhelm Marr (1819-1904), in a pamphlet titled Der Weg zum Siege des Germanenthums über das Judenthum (The Way to Victory of Germanism over Judaism). Marr's work became what Jacob Katz, in From Prejudice to Destruction: Anti-Semitism, 1700-1933 (Harvard UP, 1980), has called the "first anti-Semitic best-seller." Marr was a student of German cultural identity whose ideas grew out of the romantic nineteenth century struggle to create a German nation out of all the disunified lands occupied by Germanic peoples. The essence of his argument, Gifford observes, was that "Jews in Germany had already taken over the press, they had become 'dictators of the financial system,' and they were on the verge of taking over the legislature and the judiciary." Marr did not invent these charges: they were already current in his culture. And he was not simply a racial bigot: three of his four marriages were to women who were at least partly Jewish, and he renounced anti-Semitism and German nationalism toward the end of his life. But by depicting two races locked in an irreconcilable struggle, and by describing a massive conspiracy to infiltrate and take over the vital systems of his nation, he did more than any other individual of his time to create an ideological justification for this species of hatred. French society was polarized from 1894 to 1906 by the trial of Captain Alfred Dreyfus, a Jewish soldier convicted on exceedingly flimsy grounds of giving secret military documents to the Germans. 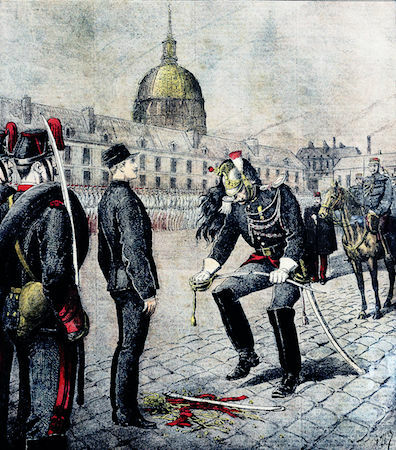 When new evidence emerged in 1896 implicating a different officer, the military command suppressed the evidence, effected a hasty acquittal of the non-Jewish officer, and brought new charges against Dreyfus based on fabricated documents. Émile Zola published a fiery letter titled J'accuse in a prominent newspaper, and public pressure mounted for a new trial. When the second trial was held in 1899, a battle for public opinion raged, led on the anti-Dreyfus side by the "famous journalist, Drumont" (Monsieur Édouard Drumont), publisher of an anti-Semitic newspaper called La Libre Parole that had been slandering Jews since 1892. Kevin Egan does not mention these views in Proteus, but his insistence on mentioning Drumont's name imports a French context for European anti-Semitism into the novel, to balance Haines' suspicion of "German Jews." When Haines voices anti-Semitic views in the first chapter, it may seem that Joyce is characterizing them as a new import, a parasite clinging to a "stranger." Deasy's more detailed exposition of the ideology in the second chapter puts an end to that slight comfort. Anti-Semitism is already endemic in Ireland, and will surface many more times in the book. The men in the funeral carriage in Hades, Nosey Flynn in Lestrygonians, Buck Mulligan in Scylla and Charybdis, Lenehan in Wandering Rocks, the Citizen in Cyclops, and Bloom himself in Ithaca will all indulge invidious stereotypes about qualities presumed to be inherently Jewish. Marr’s was not the only pamphlet fanning the flames of anti-Semitic hatred in early-twentieth-century Europe. Circe alludes to the notorious Protocols of the Elders of Zion, a 1905 document forged by Russian secret police to justify pogroms by making it appear that Jews were planning a takeover of the entire civilized world. Gifford notes that the Protocols “did not turn up in western Europe until 1918-19,” but Joyce made sure that they appeared in his book, even at the price of anachronism. And he clearly intended Haines' name as a comment specifically on his anti-Semitism. Although his presence provokes Stephen's resentment about England's treatment of the Irish, he himself is warmly disposed toward the Irish. In Nestor, Stephen recalls how Haines looked "on me and on my words, unhating." Portrait of Wilhelm Marr by unknown artist, from Vierhundert Jahre Juden in Hamburg (Doelling und Gallitz, 1991). Source: Wikimedia Commons. Dishonorable discharge of Alfred Dreyfus in January 1895 (Le traître: Dégradation d'Alfred Dreyfus, dégradation dans la Cour Morland de l'École militaire à Paris). Source: Wikimedia Commons. 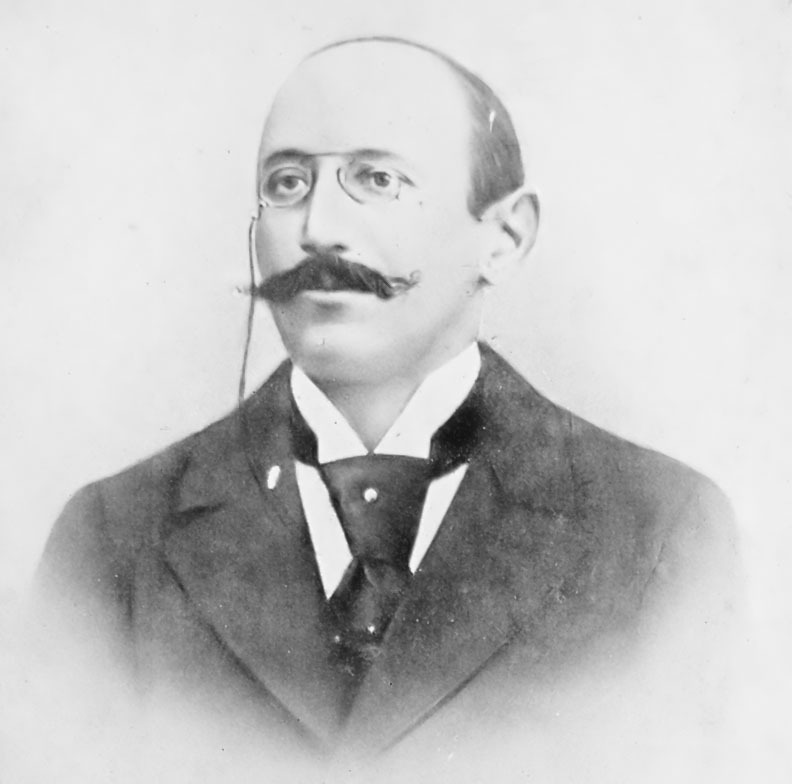 Photograph of Alfred Dreyfus, date unknown. Source: Wikimedia Commons.